Laws of conservation è una delle mie canzoni preferite dell’album. Non mi è mai capitato di sentire una canzone sulla tristezza dell’immutabilità delle cose così accessibile, poetiche e a suo modo persino allegra. Nel testo ci sono momenti di poetica arguzia (“if the people in your memory could keep each other company… would that make you less lonely?”). Questa traccia segna un’ideale prima parte dell’album, che poi ritorna su strade più personali, più intime, con A lot like being alone, canzone di notte gucciniana ma con una sensibilità tutta femminile, Jetty e Tenderness. Petit sourir è un’affascinante ninna nanna cantata in francese e in inglese. La marcia dei soldatini di legno è inclusa nelle sonorità del pezzo. Stick around è una canzone che unisce immagini molto eteree a simboli fin troppo concreti nella loro materialità. Legami fisici e legami mentali vanno di pari passo. Snow White & Rose Red risponde a tutta una serie di domande che erano sorte nell’ascolto di altri brani (“There is no raising girls like us, we have to raise ourselves”). Quindi chi se ne importa delle strade battute, dei presunti insuccessi e persino della paura del futuro. Si può imparare da tutto e andare avanti. Sweet Soubrette sta sicuramente andando avanti. (L’album si può trovare su Itunes). I must confess I was a bit anxious when I first pressed play and began listening to Days and nights.I loved Siren Song, Sweet Soubrette’s first record, so much that the fear of disappointment wassomething very real. Siren Song was very straightforward in words and music, and yet it was so richin poetry, suffering and irony as to make it something really unique. Listening to this CD swept allmy doubts in a matter of seconds. 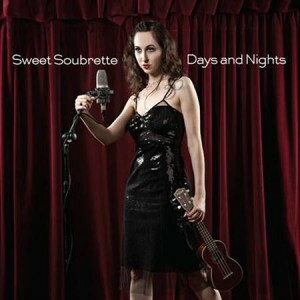 Days and Nights shows a lot of research in new sounds and atmospheres, but the ukulele is still atthe foundation of Sweet Soubrette’s unique path. Indeed, one could say that the gentle timbre of theukulele has become a signature of this New York artist, both visually and acoustically. Now to individual songs. “All That Glitters” sounds like the second character of a possible trilogyof bad girls. In Siren Song we had the “Homewrecker,” a thrill seeker going after married men.What the gold digger is after… well it’s very plain to see: she is certainly a very high-maintenancegirl. The opening percussion reminded me the beginning of Paul Simon’s Graceland (luckilywithout being so ideologically wrong). “City People” is a song about clouds and concrete. The delicate sound of the violin mixes andclashes with electronic sounds, all in service of a very peculiar text. “City People” could be inmany ways the manifesto of an entire generation of women who now find themselves lacking thecertainties of the previous generation: “You’re city people: you like to live alone. You’re older thanyour parents were when you were born.” There is something about this song that gets under the skin. 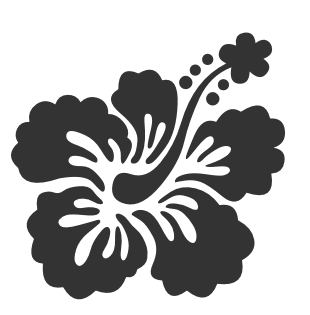 Then we go straight to the title track, “Days and Nights,” which sounds markedly autobiographical.It is not by chance that here the ukulele returns as a lead instrument. The importance of HeatherCole’s violin emerged already in City people, but here it becomes a constant. Those familiar with the work of Henri Laborit will recognize at once what “Avalanche” is about:paralysis of action. Apart from the powerful imagery in this song, I would say this is the mostphilosophical song of the album. “Laws of Conservation” is my all-time favourite. I have never heard a song on the sadness ofthe immutability of things so accessible, even poetic and somewhat cheerful. In the lyrics SweetSoubrette’s poetic wit returns in all its irony: “If the people in your memory could keep each othercompany, would that make you less lonely?” “Laws of Conservation” marks the end of an ideal “Aside” of the album, all devoted to experiments and to new paths. The “B side,” if I can call it that, returns to more intimate and delicate sounds, almost continuingthe exploration of a girl’s soul started in Siren Song. There is a lot of sensitivity in “A Lot LikeBeing Alone” and “Jetty.” “Tenderness” is spiced up blues with an interesting concept abouta “biting love.” “Petit Souris” is another favourite of mine, a fascinating lullaby sung in Englishand French about a little mouse, which incorporates the sound of the march of the woodensoldiers. “Stick Around” manages to put together two different images of bonds: the material(“staple yourself to me baby”) and the spiritual. “Snow White & Rose Red” ideally answers toa lot of questions asked in the previous songs: “There’s no raising girls like us, we have to raiseourselves.” So who cares about the beaten track, present failures and doubts about the future. Everysingle step is a new lesson, you just have to learn and move on. Sweet Soubrette is certainly movingon, and I like this new path, a lot.